Looney Tunes: Rabbit’s Run (2016) – What's New on Netflix Canada Today! Lola Bunny is a perfume saleswoman who perfects her own fragrance thanks to the introduction of a rare flower provided by her landlord, Speedy Gonzales, which, unfortunately, the military also wants. Lola meets misanthropic cab driver Bugs Bunny, who longs for anonymity, only to be thrust into the spotlight when he and Lola both end up on the FBI’s most wanted list, hunted by federal agent Elmer Fudd. What neither Lola or Bugs know is that the flower in the perfume turns people and objects invisible. When a perfume sales-bunny inadvertently creates an invisibility potion, she and her new pal Bugs find themselves enmeshed in a caper full of danger. 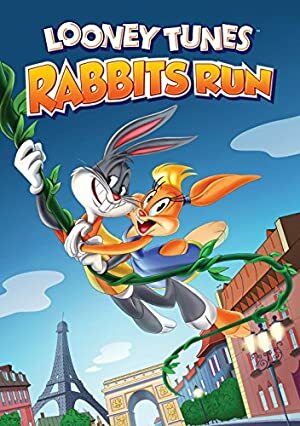 Lola Bunny invents a perfume with the adverse effect of turning people invisible, sending her and cab driver Bugs Bunny on the run from the FBI, while another shady group seeks the formula.